Through our educational fellowships, we foster students’ Jewish identities while building leadership skills. We offer trips to Israel through Birthright Israel and provide scholarships for students to attend conferences around North America. 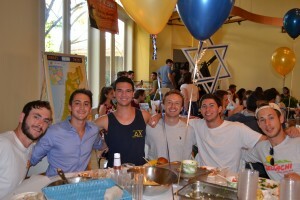 Committed to helping students take ownership over their Jewish lives, we provide support and resources for students to host their own events in their dorm, fraternity/sorority, co-op, or apartment.